Local is fortunate to partner with talented and dedicated individuals who provide complementary services to our own. 2-Stroke Painting and Contracting Ltd.
2-Stroke Painting is a full service painting and contracting company owned and operated by Patrick Ziemer in Dawson Creek B.C. 2-Stroke has been in business for over 20 years and has recently expanded to Nelson B.C. with a branch managed by Max Karpinski. We offer full interior and exterior, commercial/residential painting and finishing services as well as meet all your renovation, maintenance, and new construction needs. 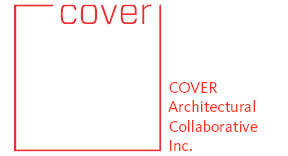 Cover is a multidisciplinary firm working across a range of scales and disciplines, including Public Art, Architecture, Urban, Interior, and Industrial Design. Our work is meaningful and research-based, creating site specific, cultural-contextual, state-of-the art solutions throughout the built environment. We strive to create solutions that are both responsive and responsible to the client, the users, and the community, and support a healthy, sustainable, and vibrant lifestyle. Nelson Tiny Houses is a sustainably-produced company that builds superior tiny houses. As builders and designers, we are inspired by the mountains, forests, lakes and culture of this special part of southern British Columbia. As such, we view building tiny houses as a place where science meets art, where trade meets craft, where a shelter becomes a home.